We step out the door lunch in hand. 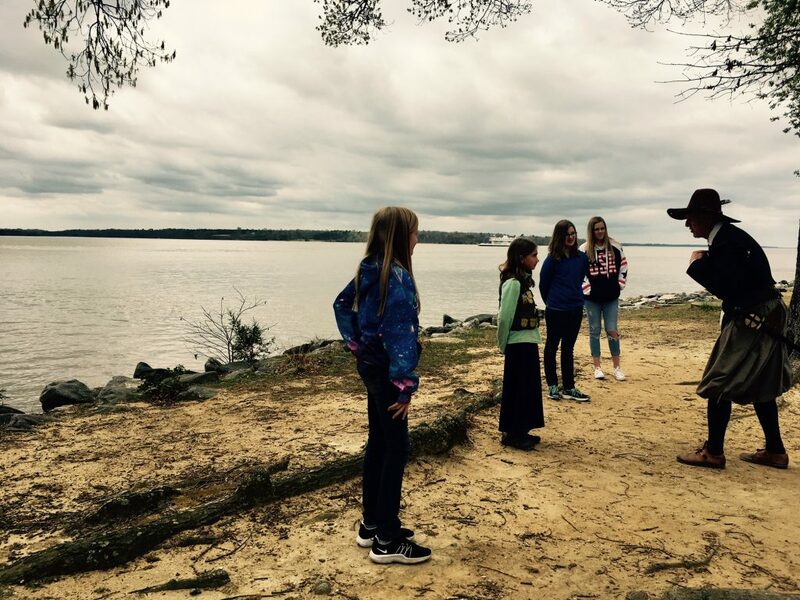 School for today involves a close encounter at Jamestown National Park. The kids abandon their game of stick-war and climb into the car. Trent pulls up the directions on our GPS. Siri informs us that we are 27 minutes away by car, 1 hour 33 minutes by bike or 5 hours by foot. 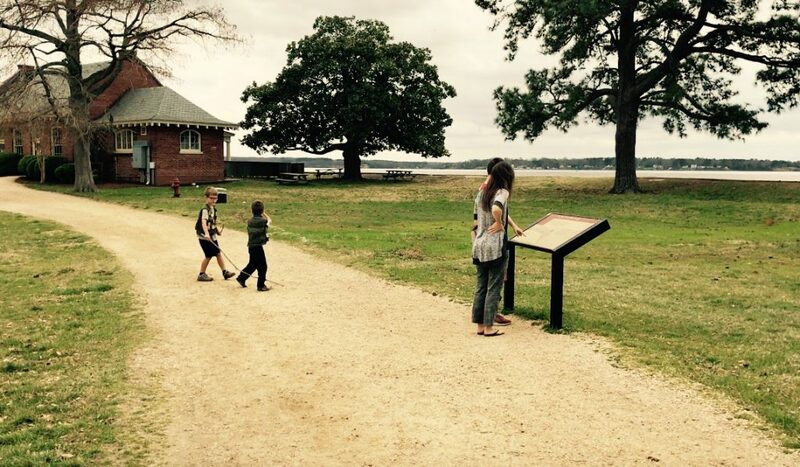 The irony of our options, of our directional exactness to the Jamestown Settlement, does not escape me. If only the English settlers of the past could see what was in store for future voyagers! As we arrive, the youngest three don their Junior Ranger vests and set out. We walk to the water’s edge and I stare upon the water trying to imagine what it would be like in the early 1600’s waiting for a ship from England to bring supplies. I try to wrap my brain around their reality of cold, starvation, conflict and disorder. One of our kids begin noticing little bugs in the air and suddenly his world is totally off-kilter. The bugs are too much. It’s cold. He’s hungry. We’ve lost one of our Jr. Ranger booklets. And just like that I’m back to my reality. 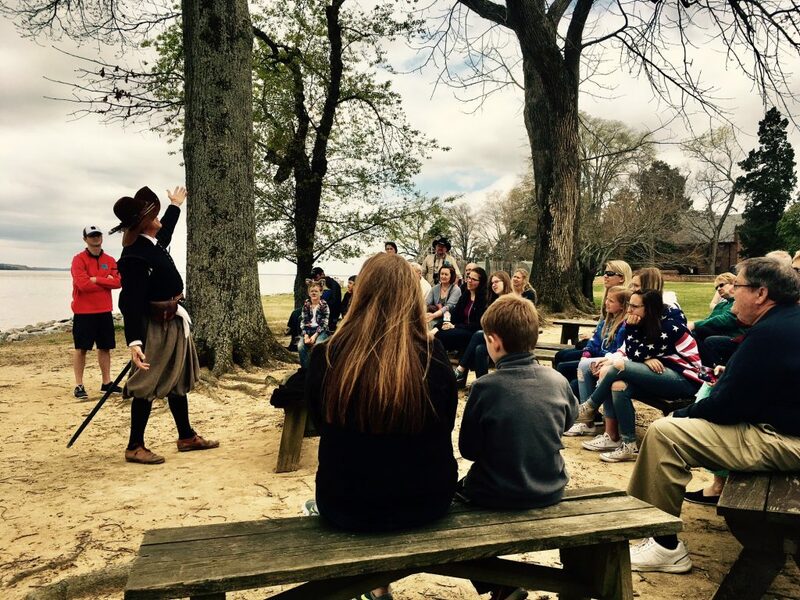 We sit down for a snack break overlooking the James River while a costumed interpreter posing as John Rolfe welcomes us to Jamestown Island. For the next hour his words captivate us. With practiced eloquence, people and places are woven together in a tapestry of understanding. 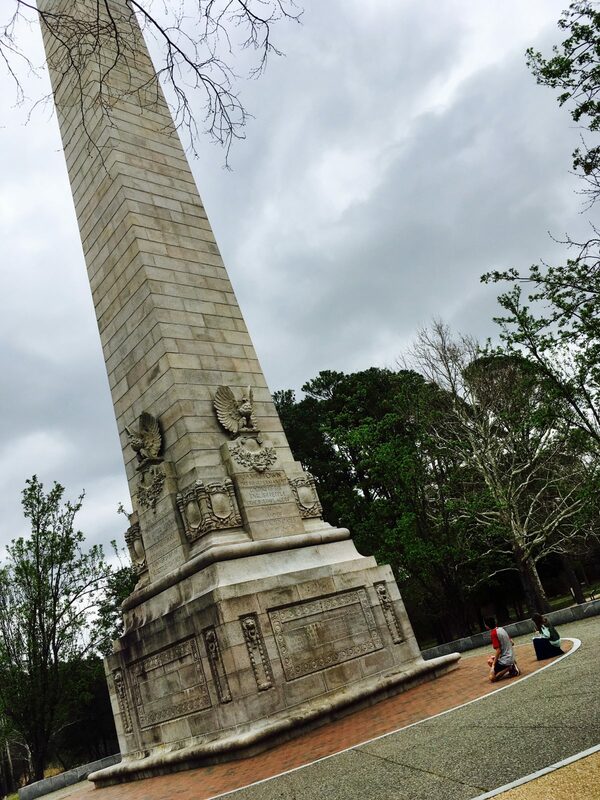 The arch of Jamestown’s historical significance is firmly established in our minds. We are mesmerized. John Rolfe concludes by reminding us that history is only as accurate as the author telling the story, the archaeologist interpreting the clues or the biases of the governing body. I can’t help but reflect on how this truth highlights the sovereign truth of Scripture. The Bible offers us a historical account of creation and the unfolding story of humanity from the Creator’s perspective. The only bias is from God Himself. I find that so refreshing. It’s your turn. I’d love to hear about one of your most memorable history lessons. Did you enjoy history as a child (ironically it was my least favorite subject)? What historical location would you most like to visit?